I've done a lot of travelling this year. I've been to L.A. twice (with another trip coming up soon), New Orleans, Miami, Mexico and India. I've woken up to a 3 a.m. alarm to get to the airport on time, smiled innocently at border patrol and yes, I even lost my ID once (thankfully, the airline mailed it back to me). As one of JFK Airport's most frequent customers, there is one good thing I can report: I've found the best travel clothes to get through it all. I've even devised a checklist of what I consider when I'm getting dressed (since I tend to book early flights and have to get dressed before my brain is really working). If I were to name an overarching theme when it comes to airport dressing, it's that comfort is key. Don't let any over-the-top airport outfits fool you—stilettos on a plane (or going through a metal detector) are never a good idea. Since the seat you're given is often up to luck, it's better to dress in a way that will ensure that even if you're in a non-reclining row or crammed in the middle seat, you'll feel some semblance of comfort. Find my rules below along with the pieces that will help you nail travel-dressing too. Getting Global Entry was one of the best decisions I've ever made (seriously, it's saved me some major airport headaches), but there are occasions when I still have to take off my jacket and shoes. 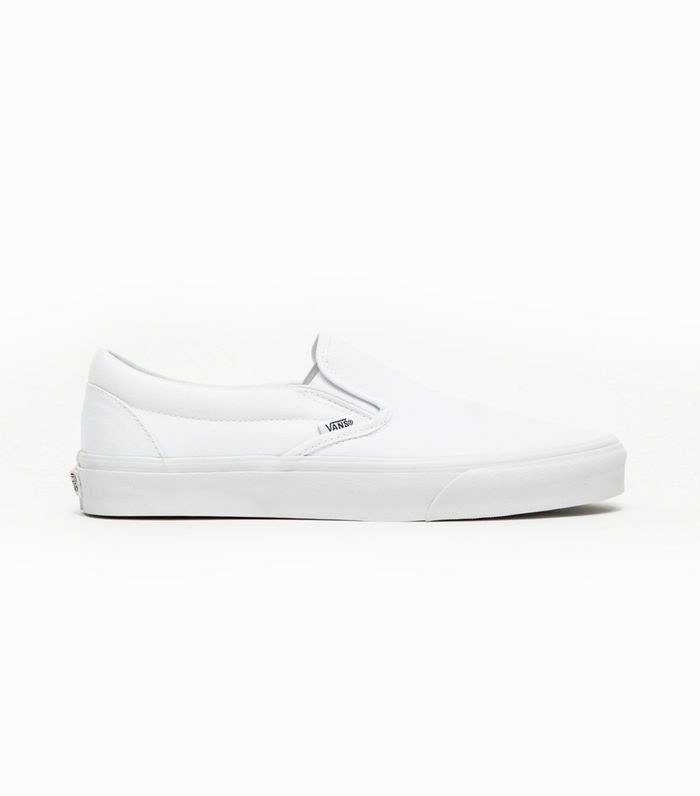 I've come to rely on slip-on sneakers—Vans specifically—which are easy to deal with when I'm feeling flustered. We love this updated version of slip-on sneakers. It always feels like the moment a flight takes off, I'm profusely sweating (only to doze off and wake up shivering an hour later). With all the changes in cabin temperature, I find it's better to be prepared, so I always make sure I have multiple layers to take on and off as needed. This will keep you cosy on chilly flights. A logo tee for minimalists out there. This boxy cut is super chic. Unless it's absolutely necessary to dress up, I always wear leggings to fly. Since seats tend to be so uncomfortable, I refuse to wear anything rigid or unforgiving. Instead, I opt for my softest, stretchiest leggings to make sure that even if I'm stuck in an exit row, I'm doing my best to fly comfortably. Mid-rise leggings are super flattering. The finishing touch to the ideal travel outfit is having the right accessories. Tall socks keep my feet warm and protected if I want to slip my shoes off (swollen feet are a real problem mid-flight!). A baseball cap can block light when I want to nap and a tote bag can easily slide under the seat in front of me. Who knew socks could be so cool? Converts into a backpack: enough said. And just like that, you're an expert in airport-appropriate dressing. Now you're all set to fly as comfortably as possible.